Prettau® Zirconia is widely recognized as the gold standard in quality dental restorations. Drs. Clifford Degel and Carmen Every-Degel are proud to offer Prettau® Zirconia implant-supported bridges, which are customized to restore beautiful, natural-looking smiles for our patients. You can take advantage of their many benefits when you choose to rejuvenate your oral health with a Prettau® Zirconia restoration. To learn more about the benefits of the Prettau® bridge, contact our Queens practice and schedule an appointment today. Prettau® Zirconia is respected by dentists and patients alike for many reasons. Prettau® Zirconia bridges are customized with exacting precision in our renowned dental laboratory. Skilled technicians use photographs, impressions, and detailed direction from our dentists to ensure that each patient's bridge looks natural and complements their features. Prettau® Zirconia bridges look highly lifelike, and are made of a material that mimics the appearance of naturally translucent tooth enamel. The material is also extremely stain resistant, so your bridge will maintain a bright, white color for many years. Prettau® Zirconia bridges are exceptionally resistant to breakage, chipping, and cracking. Prettau® Zirconia is made from a strong, durable material called zirconium oxide. It is not layered like some ceramic restorations, which also increases its resistance to chipping and abrasion. Although the Prettau® Zirconia bridge is more costly than some other restorations, in many cases it is a more cost-effective option because it is designed to last for years. The Prettau Bridge looks, feels, and function just like your natural teeth. Once your customized Prettau® Zirconia bridge is received in our office, it will be secured to your dental implants. Your dentist will evaluate your bite, ensuring your bridge feels comfortable and that it meets your aesthetic goals. Once we have ensured that your bridge is the right fit for you, it provides immediately restored function. You will clean your Prettau® Zirconia bridge at home and during your regular dental appointments, our dentists will ensure that it is still functioning properly and is being properly cleaned. Virtually any patient who is missing most or all of their teeth can receive a Prettau® Zirconia bridge. 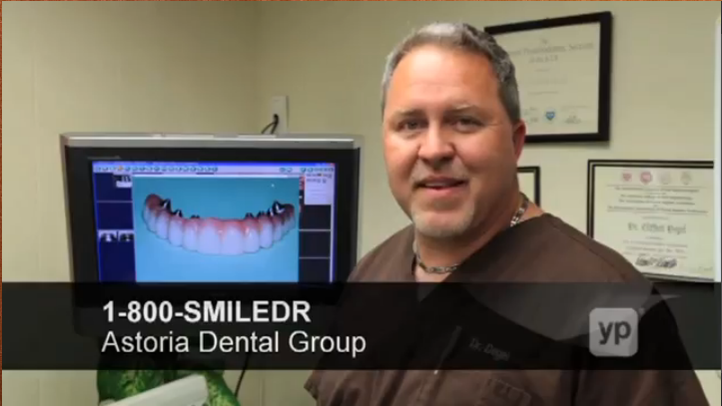 Because each bridge is made according to exact, individualized specifications, they look beautiful within any smile. If you do not yet have dental implants placed, our team can facilitate this surgery as well. If you have insufficient jaw bone structure which is keeping you from receiving implants, we can also perform bone grafting to first strengthen the jaw. Your long-lasting bridge is an investment that will give your smile beauty and function for years to come. If you would like to smile confidently without worrying that your dental prosthetic will slip out of place, contact us today to learn more about the Prettau® Zirconia bridge.